Three innovative tech start-ups from the West will be showcasing their businesses at St James’s Palace in London as part of Pitch@Palace, an initiative founded by HRH The Duke of York, KG. The businesses, Wriggle, YellowDog and Altitude Tech have won the opportunity to attend the Pitch@Palace Bootcamp in London next month, when they will present to a panel of judges. The judges will then select the companies who present at Pitch@Palace 4.0 at St James’s Palace in November. 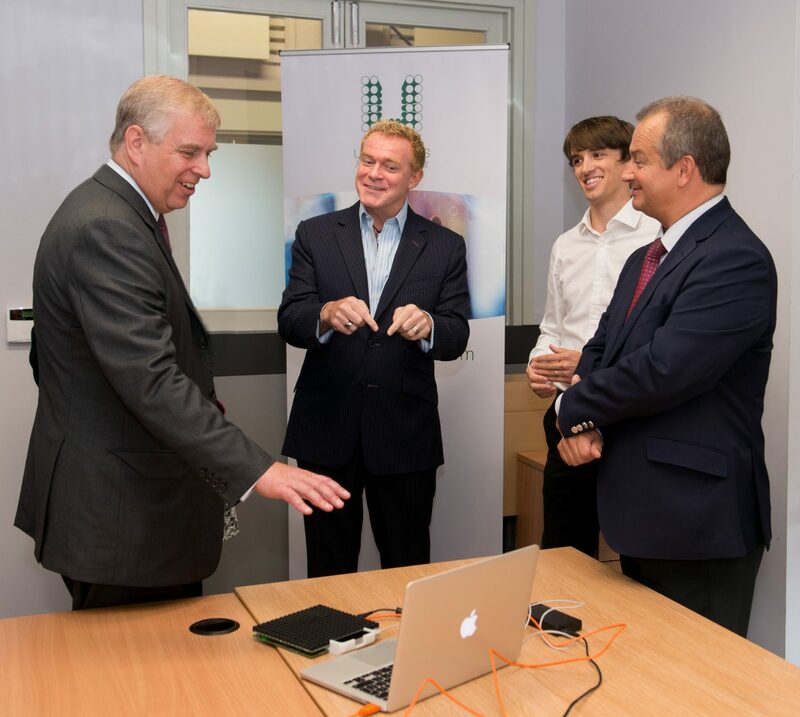 SETsquared, the partnership between the universities of Bath, Bristol, Exeter, Southampton and Surrey, has collaborated with The Duke of York’s Pitch@Palace initiative since its formation and hosted the ‘venture pitch and selection’ event at the University of Bristol’s Engine Shed yesterday (14 September). This year’s event is focusing on the Internet of Things and Smart Cities areas of technology. Potential outcomes from attending Pitch@Palace 4.0 in London include investment offers, promotion opportunities and new customers or partners. Simon Bond, innovation director for SETsquared, said: “Pitch@Palace On Tour is a fantastic opportunity for entrepreneurs developing products and services for the Internet of Things and Smart Cities fields and it was wonderful to see so many SETsquared member companies take part in the Roadshow event. “Holding the selection event in the region meant we had an excellent chance of showing off developments from Southern England in front of the ‘A’ list of investors, movers and shakers. The Roadshow event in Bristol was one of three regional rounds held across the UK. The city was chosen as a destination due to its status as the country’s only fast-growing, globally significant tech cluster.